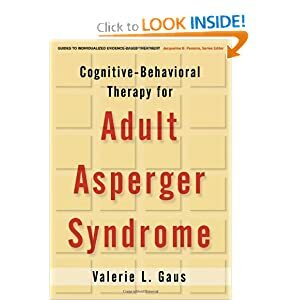 My guest today on Raising ASD Kids and Teens, was Dr. Valerie Gaus. 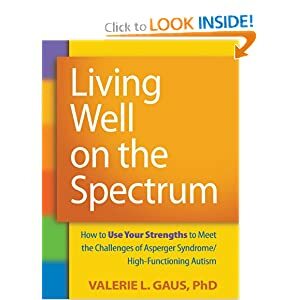 Dr. Gaus is the author of two terrific books, Cognitive-Behavioral Therapy for Adult Asperger Syndrome and Living Well on the Spectrum. I highly recommend these books. In fact, as I stated in the show, I regularly give the CBT book out to therapists and social skills providers, meanwhile, CM1 is personally using Living Well on the Spectrum. To learn more about just what CBT happens to be and how it can help you and/or your child, plus to find out about the useful everyday tool of Living Well on the Spectrum listen HERE.